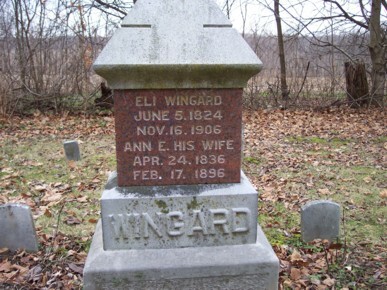 There are several stories as to why the name changed to Wingard. 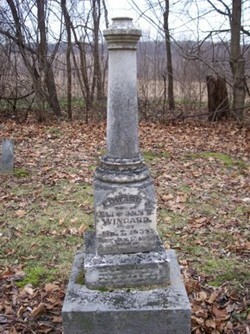 John adopted the spelling Wingerd because a deed had been written with that spelling and it was simpler to use the new spelling than to change the deed, but, neighbors, friends and perhaps other family members persisted in using the spelling Wingard and the family finally adopted that spelling, although John's stone has the spelling Wingerd. Another story states that in 1859 all male members of the family over 21 years of age met at the old homestead near Delphi and agreed to change the spelling. Another story is that during the Civil War due to the family involvement in the underground railway and being pro north it was deemed advisable to assume a German name as the German's in the area were thought to be true to the south. His son Jacob stated "It was done for a very good and sufficient reason and it is nobody's business", although he was too young to have been in on the decision. Burial: Manheim, Lancaster, Pennsylvania, probably at Christian's farm cemetery. No stone exists for her or for Christian. Hannah arrived in Pennsylvania with her two sons; Christian and Michael on September 9, 1749 via the ship 'St. Andrew'. Her husband Johannes (Hans) Wenger, 1680~ 1749.9.9 had died in Canton of Bern, Switzerland prior to this move. A story exists in the TWB of Hannah hiding in her home from the authorities from the church who came to see why she had not come to church. A Canadian genealogy gives her father as Sherrick but without source. Arrived with his brother Christian and their widowed mother in PA on Sept. 9, 1749 via the ship 'St. Andrew', from Rotterdam, last from Plymouth. Took the oath of allegance to the King of England, as required by the Penns on Sept. 9, 1749 and settled near what is now Mastersonville, Rapho Twp, Lancaster County, PA. The spelling of his name on the ship's register Wagner though that of his brother and mother is Wenger. Assuming the same person the name Wagner is on an assessment list for Lebanon Twp., in 1750. On an assessment list for the same twp in 1759, the name is Wagoner. 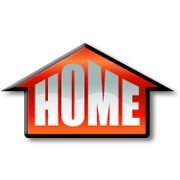 His homestead is located on Chiques Rd. .9 miles north of Elizabethtown Rd. on the west side of the road. The home is unoccupied and visited during the Wenger Family Reunions of the G line. On the outside of the deed to his Rapho Twp. land we see Wagner. Within the deed are the spellings Waggner and Wagoner and a correction to spell Wegner. When he died and his sons received the deed the name is spelled Wenger, though it was signed by them as Wegner. In the Rapho Twp., tax list his name was always spelled Wenger as it was in the 1780 census. In early years his sons John and Isaac used Wegner and in later years Wenger. He died intestate and his estate was sold to his son Isaac and recorded as Wenger. Michael had no grandsons, so the Wenger name is not carried past his next generation, but his descendants are found among the Gibble\Gibbel and Strite families as well as others, presumably including the Shelly family. In his early life John used the name Wegner and then used Wenger. In his earlier life Isaac used the name Wegner and then used Wenger. Both buried in Small plot on eastern edge of the farm northeast of the Chicques meeting house (Old Gibble Cem.?). Isaac Wenger House & Site of Mill: The home was built about 1848 by Isaac Coffman, a Mennonite, and purchased by Isaac Wenger. The farmhouse is a fine example of pre-Civil War rural architecture. It has 12 rooms and six chimneys. Wenger owned the mill immediately across what is now Route 42. It was burned in 1864 by Union troops and rebuilt after the war. It continued in use into the 1930s. The mill was razed in 1991 to make way for the expansion of the present highway. Isaac Wenger, a Mennonite, was active in the Unionist Underground Railroad. He kept and hid refugees and conscripts and helped them to connect with pilots who led them at night over the mountains to the South Branch Valley where they could find their way to Keyser and the B & O Railroad. His loyalty was recognized by General Sheridan who gave him protection papers. He did not vote for secession, but in order to avoid military service which was contrary to Mennonite practice, he had to hire a substitute and pay a fine to the Confederacy. Consequently, his claim was rejected by the Southern Claims Commission. Born in Switzerland and arrived in Philadelphia with his parents and sibling on Sept. 16,1748 via the Ship Patience, John Brown, Master. He was 20 years old. Settled and lived in Rapho Twp., Lancaster Co., PA. Married Anna Meshe 1726-1787. His brother Christian married her sister Elizabeth. Was a farmer and operated a distillery. On July 3, 1767 his father sold Stephan 2 1\2 acres that was then willed to Stephan's son John and his wife. Stephan already had land that adjoined his father's land. The 2 1\2 acres was sold on June 16, 1816 to Jacob Wenger and his wife Anna for 125¹ Stefan settled in Rapho Twp. Lancaster Co., PA. and at one time owned over 6 00 acres. 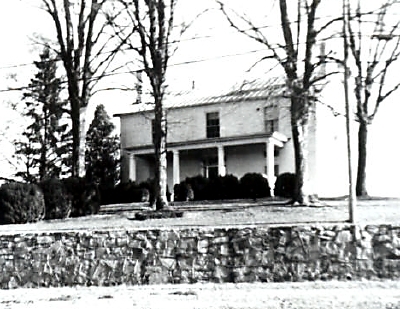 His homestead is believed to be the farm on Old Line Road that was passed to his son Stephen, to his son John, to his son Mart. Buried in the Wenger farm cemetery between Old Line Road and Shumaker Road. Richard Eugene Wenger, 1945.5.2, lived in a home on Stephan's property in 1995. Farmer in Rapho Twp., Lancaster Co., PA.
His son Christian received his property. Farmer in Rapho Twp., Lancaster Co. Buried Wenger Farm Cemetery on the Stephan Wenger homestead. Mennonite. Rapho Twp., Lancaster Co.
Stephen's wedding suit is being preserved and and kept by Moses Wenger. 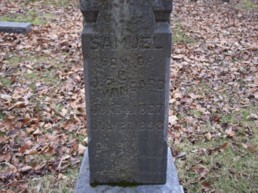 He died 17 Feb 1838 and was buried in Ebenezer. Martin married Barbara Longenecker on 4 Mar 1792. Elizabeth was born in Switzerland about 1740. She married first John (Herr Von) Huber an officer in German Army. Herr Van Huber was killed during the Seven Year War. 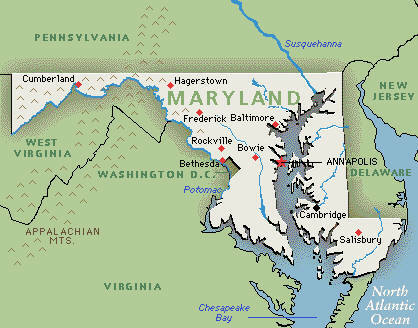 Widowed Elizabeth, with three of her children, left the German Cantons of Switzerland for America, arriving about 1764. 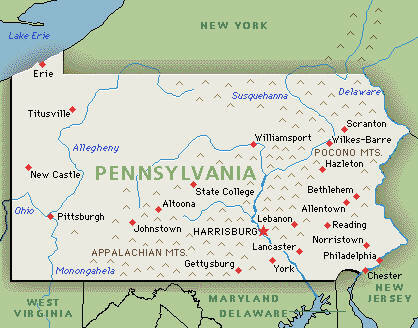 They settled in Lebanon County, Pennsylvania in 1765. Her son Michael died at sea. Her son, Heinrich Huber married Maria Wenger and moved to Franklin County. Her daughter, Catherine, married Joseph Wenger (1767) son of Martin Wenger and Anna Huber Gingrich and relocated to Canada. She married a second time in 1732 to John Wenger. They had 6 children. 5. 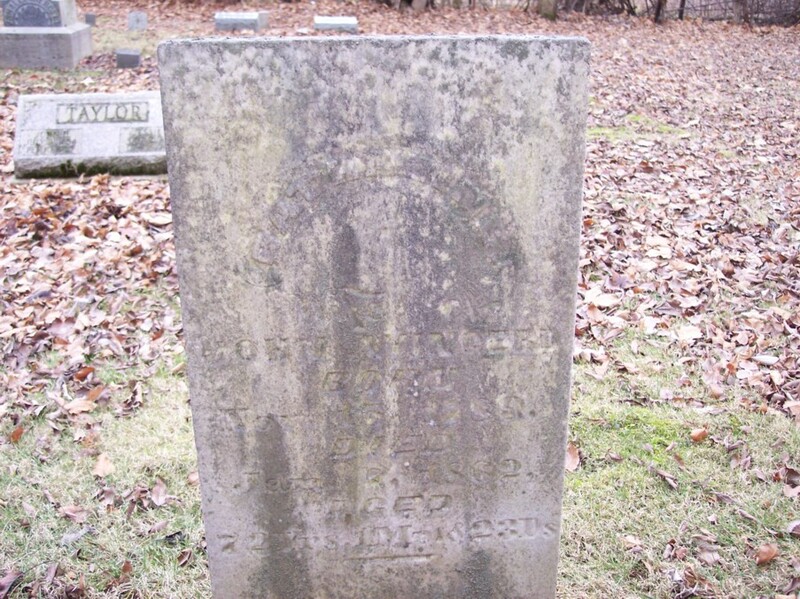 Susanna WENGER b: 1773 married Henry Kumpler b: 9 Jan 1801 in Myerstown, Pa.
or January 13, 1778 in Wenger Cem. 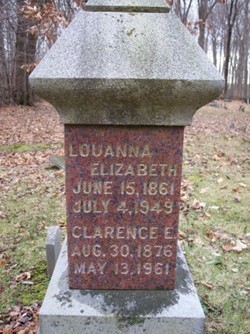 Jonestown, Lebanon Co. Pa.
Death: March 31, 1858 in Wenger Cem. Jonestown, Lebanon Co. Pa.
Capt. John Brown. Qualified Sept. 16, 1748. Hans Winger Jr. from the Wenger Alps of Switzerland, arriving in Philadelphia on September 16, 1748 on the ship Patience. Maria Funck's mother, Judith Wenger, was born the 19th of January 1732 near Zweibrucken in the Rhineland Palatinate, Germany. Her father was Hans Wenger, Jr. son of Hans Wenger, Sr. a Mennonite weaver of Canton Berne, Switzerland. 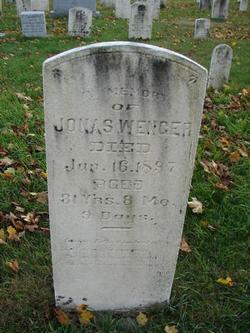 Hans Wenger, Sr. died before the family emigrated to Pennsylvania. Because of persecution in Switzerland, Hans Wenger, Jr. moved to a village near Zweibrucken when he was a young man. 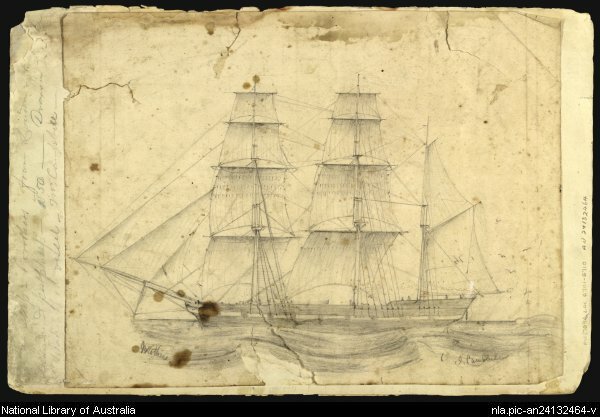 He arrived in America on the ship "Patience" the sixteenth of September 1748. He brought with him his family of five sons and two daughters: Stephen, Christian, Hans (John), Abraham, Martin, Judith and Maria. They settled near Jonestown, Lebanon County, Pa., where he and many members of his family are buried adjoining an abandoned church. Hans Wenger, Jr.'s mother and brothers, Michael and Christian arrived in Philadelphia, 9 September 1749, on board the ship "St. Andrew" and settled in Rapho Township, Lancaster County, Pennsylvania. Born in the Bernese area (most likely the Emmenthal region) of Switzerland. Several authors give that he was born at Bern which can be the Canton of Bern. It has been widely held that Hans married Anna Shirk, 1705~ 1771,, (i1748.9.16) the dau. of Casper (Sherrick\Schirch) Shirk, 1710~ 1770, SH, Rev. (i1731.12\1732.5.15) who later sold Hans his original property. This has not been verified and the approximate dates for Anna and Casper would indicate otherwise. A note in the papers of NWN state that the fact that he married Anna Shirk is recorded in Casper's Bible and that the marriage took place in Europe. It is not clear who Casper is. It is here assumed that Casper is Anna's brother or cousin and not her father. This would mean that Hans bought land from his brother-in-law or cousin and not his father-in-law. The marriage was about 1727. Left Switzerland due to religious persecution and settled in about 1744 in Zweibrèucken of the Lower Palatinate on the Rhine. Mennonite. Some have reported that all of his children were born in the Palatinate, but this requires that he would have arrived at an earlier date. The 1744 date would mean that all of his children were born in Switzerland. Arrived at the age of 43 in Philadelphia on Sept. 16,1748 via the Ship Patience, John Brown, Master from Rotterdam, last from Cowes. The numbering of Hans's children as given in TWB is not correct. He traveled with his children Stephen G11 (age 20), Christian G12 (age 18), Judith (age 16), John (Hans) G14 (age 16), Maria G15 (age 13), Henry G16 (age 11), Abraham G17 (age 8) and Martin G18 (age 6). The family settled in Bethel Twp. (now Swatara Twp., originally Lancaster Co. now Lebanon Co.) one half mile northeast of present Jonestown, Lebanon Co., PA. The farm that he settled on in 1749 is stated as being 125 (170, see below) acres and was purchased for $125.00 from Casper Shirrock (Shirk, Sherk, Sherrick), 1710~ 1770, H, (i1732.5.15) who bought the land in 1740 from John Penn, Thomas Penn and Richard Penn, sons of William Penn. Warrent #250 (Bureau of Land Records-Harrisburg, PA) (Oct. 5, 1738 to Casper Sherk for 200 acres on Swatara Creek in Bethel Twp., Lancaster (now Lebanon) Co. Surveyed March 31, 1740 for 170 acres. Patented (Pat. A120-279-29) to Casper Sherk on Nov. 29, 1745. Signed by Thomas Penn, son of William Penn.) (Nov. 1, 1749 Deed P-94-Lancaster Co., Casper and Magdalena Sherick sell land of 170 acres to John Wenger. DLW There is also a patent number A-77-189 associated with this property. NWN gives that the first survey used a White Oak tree at the south west corner as a maker and that the tree was still standing in the 1950s. Neighbors were Nicholas Youngblood, Peter Lane, George Hauck and Jacob Miller. Same land as in Warrant #250) On July 3, 1767, John Wenger of Bethel Twp., Lancaster Co. sold to son John 62 acres, 76 p. for $373. 6s. S P. (bounded by John Wenger and Stephen Wenger). On July 3, 1767, John Wenger Sr. sold to Stephen Wenger 2 1\2 acres, Stephen Wenger willed above to his son John and wife. On June 16, 1800, John Wenger of Dauphin Co. Bethel Twp., sold 179 acres, 52 perch to Jacob Wenger for $800 in gold and silver. On June 6, 1816, John Wenger and Anna his wife sold 2 1\2 acres to Jacob Wenger and Anna his wife for 125¹ being tract Stephen bought of John Sr. on July 3, 1767 and which he willed to son John. Through the above transactions Jacob Wenger, 1778.12.1 1858.3.31, G140, Rev. became the owner of the homestead tract and his descendants maintained possesion for many years. It was perhaps owned by John L. Wenger, 1841.4.8 1917.1.15, G14053 in 1900. The farm was purchased by Rollin Reinheimer and his wife. It is reported that it was then purchased by the Yoder family. The original deed and instruments of transfer were in the possession of Mrs. Lizzie S. Wenger, 1871.6.25, G140535 Boud of Jonestown in 1970.  The current location of this deed is unknown. The homestead is currently (2005) owned by the Landis family. Site of farm on elevation overlooking the fertile valley of Big Swatara Creek. Wenger Cem. is situated on the northwest corner of the property. The Wenger meeting house is located in a corner of the cem.. Hans's brothers Christian G3 and Michael G2 arrived with their widowed mother Hannah in PA on Sept. 9, 1749 and settled in Rapho Twp., Lancaster Co., PA. The numbering of his offspring was corrected from earlier records and is reflected here and on his memorial stone placed in the Wenger Cem. in 1994. 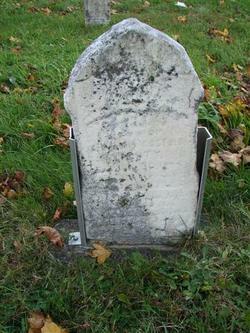 His will was dated Sept. 15, 1771 and probated June 1, 1772 so his date of death is sometime between these two dates. His son John was executor. Hans is no doubt buried in the Wenger Cem., but no stone exists. It is thought that he and Anna are buried under a wall of the Wenger meeting house. There is currently a sagging under a window area. It is thought that the sagging is due to the earth having been excavated for the graves. It is reported that while the church was being constructed the grave was exposed, but they continued with the construction. Over 114,600 of his descendants are known. The following information on the Wenger family came to me from a Wenger descendant. Johannes/Hans Wenger b. 1705 in the Bernese area of Switzerland. Several authors give that he was born at Bern. It is widely held that Hans married Anna Shirk, 1705-1771, the daughter of Casper Shirk (Sherrick), 1710-1770 who later sold Hans his original property. This has not been verified and the approximate dates for Anna and Casper would indicate otherwise. A note in the papers of NWN state the fact that he married Anna Shirk is recorded in Casper's Bible and that the marriage took place in Europe. It is not clear who Casper is. It is assumed that Casper is Ann'a brother and not her father. This is consistent with Hans buying land from "his brother-in-law" and not his "father-in-law". The marriage recorded in the bible was about 1727. They left Switzerland due to religious persecution and settled in about 1744 in Zweibrucken of the Lower Palatinate on the Rhine. They were Mennonite. Some have reported that all of his children were born in the Palatinate, but this requires that he would have arrived at an earlier date. The 1744 date would mean that all of his children were born in Switzerland. He arrived at the age of 43 in Philadelphia on Sept. 16, 1748 via the Ship Paliena (Patience), John Brown Master from Rotterdam, last from Cowes. He traveled with his children Stephen, (age 20), Christian, (gae 18), Judith (age 16), John (Hans) (age 16), Maria (age13), Henry (age11), Abraham (age 8) and Martin (age 6). The family settled in Bethel Township (now Swatara Twp., present Jonestown, Lebenon Co. which was originally Lancaster county PA) The farm that he settled on in 1749 is stated as being 125 (possibly 175-see below) acres and was purchased for $125.00 from Casper Shirrock (Shirk, Sherk, Sherrick) (1710-1770) who bought the land in 1740 from John Penn, Thomas Penn, and Richard Penn who were sons of William Penn. Warrent #250 Bureau of Land Records- Harrisbur, PA Oct 5, 1738 To Casper Sherk for 200 acres on Swatara Creek in Bethel Twp., Lancaster (now Lebanon county) surveyed March 31, 1740 for 170 acres. Patented (Pat. A120-279-29) to Casper Sherk on Nov. 29, 1745. Signed by Thomas Penn, son of William Penn. Nov. 1 1749 Deed P-94-Lancaster Co., Casper and Magdalena Sherick sell land of 170 acres to John Wenger. Neighbors were Nicholas Youngblood, Peter Lane, George Hauck and Jacob Miller. Same land as in Warrant #250. On July 3, 1767 John Wenger of Bethel Twp., Lancaster Co. sold to son John 62 acres, 76 p. for $373. 6s. S.P. (bounded by John Wenger and Stephen Wenger). On July 3, 1767, John Wenger Sr. sold to Stephen Wenger 2 1/2 acres, Stephen Wenger willed above to his on Johnand wife. On June 16, 1800, John Wenger of Dauphin Co., Bethel Twp. sold 179 acres, 52 perch to Jacob Wenger for $800 in gold and siver. On June 6, 1816, John Wenger and Anna his wife sold 2 1/2 acres to Jacob Wenger and Anna his wife for 125? being tract Stephen boughtof John Sr. on July 3 1767, and which he willed to his son John b. 1778 d. 1857. Wife, Barbar Wolf became the owner of the homestead tract and his descendants maintained possesion for many eyars. It was perhaps owned by John L. Wnger in 1900. The farm then purchased by the Yoder family. The original deed and instruments of transfer were in the possession of Mrs. Lizzie Wenger Boud, G140533 of Jonestown in 1970. The current location of this deed is unknown. Site of the farm on elevation overlooking the fertile valley of Big Swatara Creek. Wenger Cem. 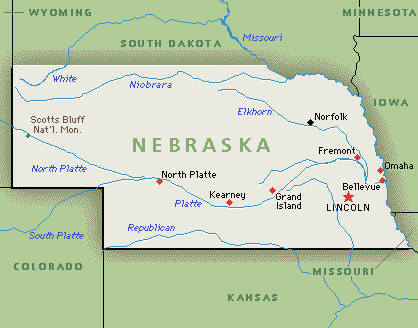 is situated on the northwest corner. Wenger meeting house is now built there. Some of Dwight Eisenhower's relatives are buried in this cemetery. Han's brothers, Christian, Michael, arrived with their widowed mother Hannah in PA on Sept. 9, 1749 and settled in Rapho Township, Lancaster Co., PA. His father, a weaver, lived and is buried in the Canton of Bern, Switzerland. 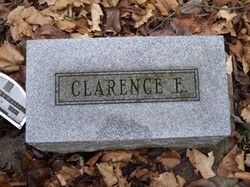 The number of his offspring was corrected from the earlier records and is reflected here on his memorial stone placed in the Wenger cemetery in 1994. His will was dated Sept. 15, 1771 and probated June 1, 1772 so his date of is sometime between these two dates. His son John was executor. Hans is no doubt buried in the Wenger Cem., but no stone exists. It is thought that he and Anna are buried under the current wall of the Wenger meeting house which is sagging under a window area. It is thought that the sagging is due to the earth having been excavated for the graves. It is reported that while the church was being constructed, the grave was exposed, but they continued with the construction. As you can see from the Wenger family history; the family is well documented in birth and land records. The Will of 1771 in fact lists the name of children of the deceased and these names are consistent with those of the Wenger family. See copy of attached Will of 1771, and related documents. 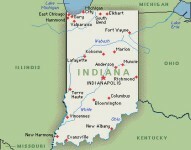 They immigrated to American and settled in Franklin County, Pennsylvania. Martin was a farmer and a Mennonite deacon. Martin Wenger's will was probated on November 12, 1812. Katrina or Catherine Hoover was the daughter of John and Elizabeth "Chefram" Hoover. Joseph Wenger and his family moved to Roanoke, Virginia. There they changed the spelling of their surname to Winger. At one point in time they also lived in Canada. Michael Wenger married Magdalena Lehman, the daughter of Bishop Daniel Lehman of Franklin County, Pennsylvania. 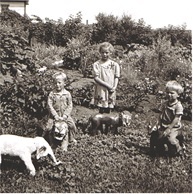 The Lehman family were Mennonites. Michael Wenger and his family moved to Ohio. 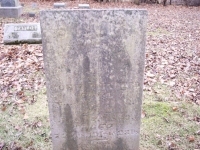 Spouse: George S. EBY b: 8 May 1776 in Lancaster Co., PA.
George EBY b: 25 Dec 1798 in Lancaster Co., PA.
Peter EBY b: 3 Jun 1800 in Elizabeth Twp., Lancaster Co., PA.
Nancy EBY b: 13 Oct 1801 in Lancaster Co., PA.
John EBY b: 6 Nov 1803 in Lancaster Co., PA.
Samuel W. EBY b: 18 Aug 1805 in Waterloo Twp, Waterloo County, Ontario, Canada . This stone seems entirely unreadable. It was in between several Wenger stones. Martin Wenger and his family moved from Lancaster County to Chambersburg, Pennsylvania. In 1781, he owned and operated the first water powered hemp mill in that area. 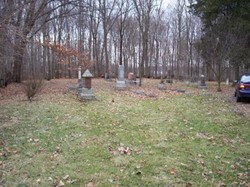 He also donated land for the Brinzer cemetery, also known as the Wenger Cemetery in Greene Township, Franklin County, Pennsylvania. Martin Wenger (jr?) was drafted to serve the Union Army during the Civil War, but because of his pacifistic religious views he declined service. The only alternative at the time to avoid service was to hire a substitute man to serve in one's place in combat. This is what Martin Wenger chose to do. John Gigrich Wenger was born in Lebanon Co., PA. Moved to Guilford, Twp., Franklin Co., PA with parents at about the age of 10. 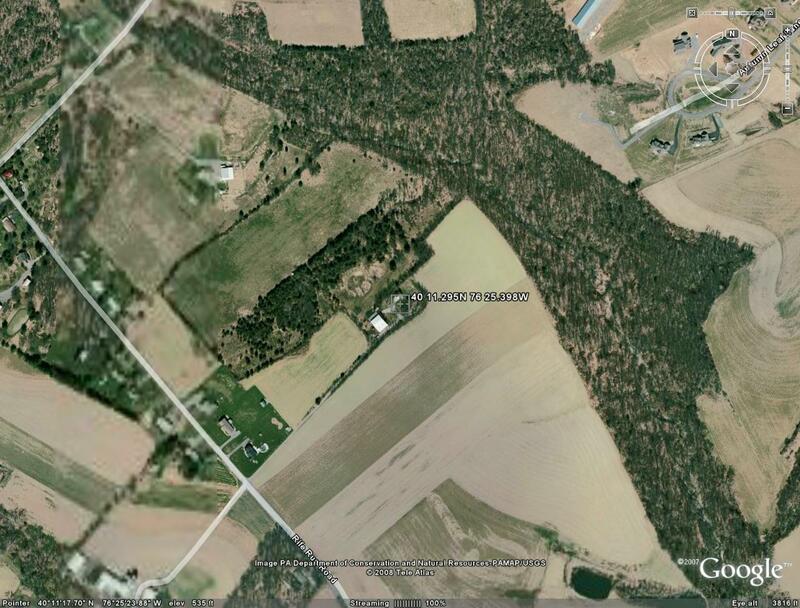 John acquired property in Guilford Twp., Franklin County. along what is now Swamp Fox Road. Abraham Wenger ... was a man of industry, integrity, and piety, very exact in business, a strong advocate of peace principles and nonconformity to the world, and a faithful, consistent member of the Mennonite church. Catherine is mentioned in John's will. See Lindale's Song pp 15-19 for a story of Virginia Mennonites in the Civil War. ... Before long Mennonite young men were forced into the army, in many cases against their wishes. The above Jacob Wenger is an example. When coerced into Confederate military service he agreed to carry a gun but he "assured the officer that he would hurt no one." If this is the Jacob Wenger of the Greenmount area, his paretns were Joseph and Barbara Beery Wenger who lived near Edom. Father Joseph, being an old man when the war came, became very distraught when the soldiers came to burn his barn in the fall of 1864, and he tried to keep the fire from spreading to his house. "His strength was overpowered" and he never fully recovered. He died four months later. southeastern United States. It is possible that she was adopted so that is the case, finding out more would be difficult. Adoptions before 1850 were typically informal. 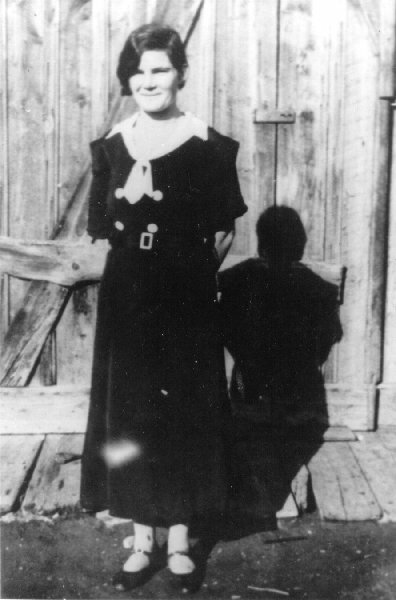 1) Josephine "Minnie" Herold born the 12 of March 1877. 2) Catherine, Stella, Herold born March 12, 1878 and died 18 of August. 5 months, 2 weeks, six days. (Jake was killed when the car he was driving was hit by a train). Picture shows some of the animals Victoria made. She whittled dolls and other things from wood. The animals were covered with cloth and given glass eyes. She used to put them out in her garden on sunny days. Some of her grandchildren are shown here. 10) Royal John Herold born April 22, 1893 Royal aged 41 years old. Evangeline wrote this to the family of her brother Eli. Victoria was staying with the Eli Wingerd family in Iowa. I cannot make out a postmark on the envelope. "The farmers had no wheat to sell for the hoppers took it and others that had a little grain got no price so you see the people is near starving, so them that got a smart crops of everything ought to thank god for it instead of complaining. Dear sweet girl I am lonesome to see you too. (I could tell you a few things.) I hope your baby will get well again, how is the rest of the children? Did John's crop turn out good? You see I would like to see Royal's children and Clem is so homesick that it worries me for him, for it is hard to make him understand and how conditions are that one gets tired of living. (next page) Henry is at Hanson's today. Minnie was here last Sunday and she looked well, and her two younger boys, and young George Hanson was here this morning to get Cecil for she was here for two days sewing some things for her. It has been an awful cold winter. It stormed all the time, and was a lot of snow fell. Did it snow up there? Dear Victoria, try and bear up and put your trust in Christ. You are the only one of the family that I can remind to look to our creator for help, and may god Bless and keep you in his grace. My love to all. Evangeline Herold." Death: July 30, 1951 in Vernonia, Columbia County, Oregon. Death: November 14, 1935 in Deer Lodge, Montana. I am enjoying your genealogy site. Thanks for posting all the information. 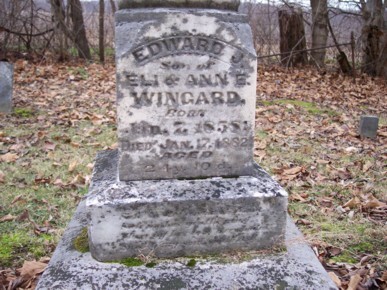 Since this Wingard family also moved to Indiana from Pa I was hoping there was a connection. Do you know if the family was River Brethren/Mennonites? Any poke int he right direction would be much appreciated. Eva Clark's mother's first name was Mahala which was at the time a common name among Native Americans of the southeastern United States. It is possible that she was adopted so that is the case, finding out more would be difficult. Adoptions before 1850 were typically informal. I have been in contact with a cousin in the Red Lake Falls, MN area. I now have proper identifications for Evangeline's children in the picture I sent. 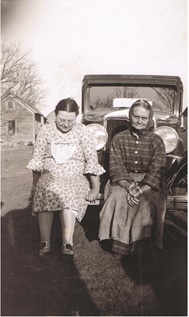 The oldest daughter, Josephine "Minnie" Herold Hanson, was not in the picture. The identities of the other daughters in descending order of age were Eva, Victoria, and Mae. I misidentified the youngest child's gender. The child is Henry. The other men were correctly identified. I do now have a printer paper copy of an old picture you might be interested in - five of Evangeline's brothers. They were identified. The sixth would be the one who died in the 1880's. The names were listed as Eli, Florentine, Dugal (Dugan? ), Harrison and Owen. Dougal and Harrison did not have beards or abundant facial hair. There seemed to be a fondness for using middle names or nick names in many cases. I plan to visit my cousin in August and I will find out if she has the original picture. 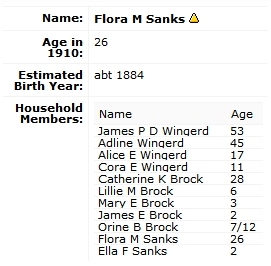 I did also find out that four of Evangeline and John's adult children were buried in the plot with their parents, Mae, Jake, Henry and Clemence. 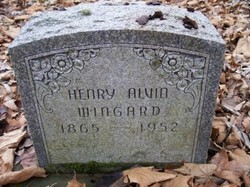 Henry was widowed. The other three never married. I realize that these collateral ancestors will not be as important to you as perhaps getting a picture of a direct ancestor. My scanner sputters when I try to scan a larger picture or I would send the picture now. I do have a little more information and some additional pictures from my grandmother's photo album but I do not want to send it if you think you have enough from that branch. Also, if the powerpoint did not come through, I could try something else. 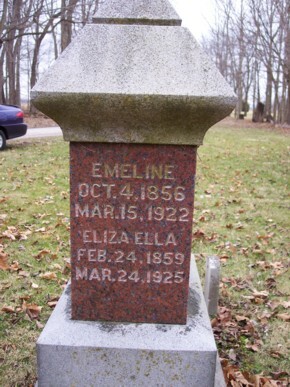 A friend of a friend did some research for me and I now have more data about Evangeline's older children who settled in MN. Evangeline's oldest daughter was Josephine Minnie and the Cecile mentioned in Evangeline's letter should have been Cecil instead. I must have added the e at the end of the name from force of habit. Also there is a Jennifer Hanson who was looking for information about Evangeline. She has never been in touch with me. I posted a response to her query hoping for a connection. Perhaps she has contacted you? We visited the Minnesota relatives two or three times during my childhood, a long time ago now. Please let me know if you would like any more information. I have a piece of a letter - at least the first page must be missing. Evangeline wrote this to the family of her brother Eli. 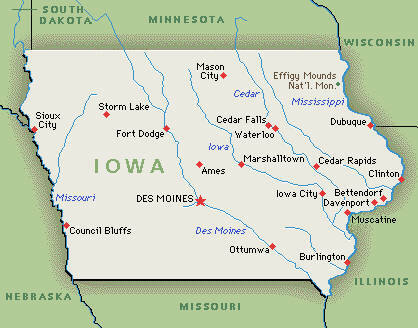 Victoria was staying with the Eli Wingerd family in Iowa. I cannot make out a postmark on the envelope. "The farmers had no wheat to sell for the hoppers took it and others that had a little grain got no price so you see the people is near starving, so them that got a smart crops of everything ought to thank god for it instead of complaining. Dear sweet girl I am lonesome to see you too. (I could tell you a few things.) I hope your baby will get well again, how is the rest of the children? Did John's crop turn out good? You see I would like to see Royal's children and Clem is so homesick that it worries me for him, for it is hard to make him understand and how conditions are that one gets tired of living. (next page) Henry is at Hanson's today. Minnie was here last Sunday and she looked well, and her two younges boys, and young george hanson was here this morning to get Cecile for she was here for two days sewing some things for her. It has been an awful cold winter. It stormed all the time, and was a lot of snow fell. Did it snow up there? Dear Victoria, try and bear up and put your trust in Christ. You are the only one of the family that I can remind to look to our creator for help, and may god Bless and keep you in his grace. My love to all. Evangeline Herold." This is all I have in Evangeline's hand. I have assumed Evangeline was still living in Northern Minnesota at the time because the people mentioned as visiting: Minnie, George Hanson, and Cecile farmed in the area around Crookston and Red Lake Falls, MN. Clem was developmentally disabled. It is possible that Evangeline was staying with her daughter Evie who was also living in that area and John and Evangeline had already moved to North Dakota but I do not think they moved there until Victoria was around sixteen or seventeen. A visible postmark would have helped. Joseph, Willemena Herold born the 12 of March 1877. Catherine, Stella, Herold born March 12, 1878 and died 18 of August. 5 months, 2 weeks, six days. Royal John Herold born April 22, 1893 Royal aged 41 years old. Everything in this list is as my grandmother had written it but things in ( ) are my additions. In some cases, in the letter and the list, I have added puncturation and sometimes not. What I hope to do which will take some time to send pictures with explanations. I have three (electronic) pictures of Evangeline. This will take time. Evangeline Wingerd Herold was my great grandmother. She died five years before I was born so I had no chance to get to know her. However, because I was able to scan some family pictures into my computer from the family album and also through a cousin who inherited some family papers I have a small amount of information. Your site was particularly interesting because I grew up hearing that we had some Native American ancestry. Reading that Eva Clark was Cherokee was the answer to a question that has bothered me for years. None of the older relatives seemed to know much except that the Native American connection came through Evangeline. 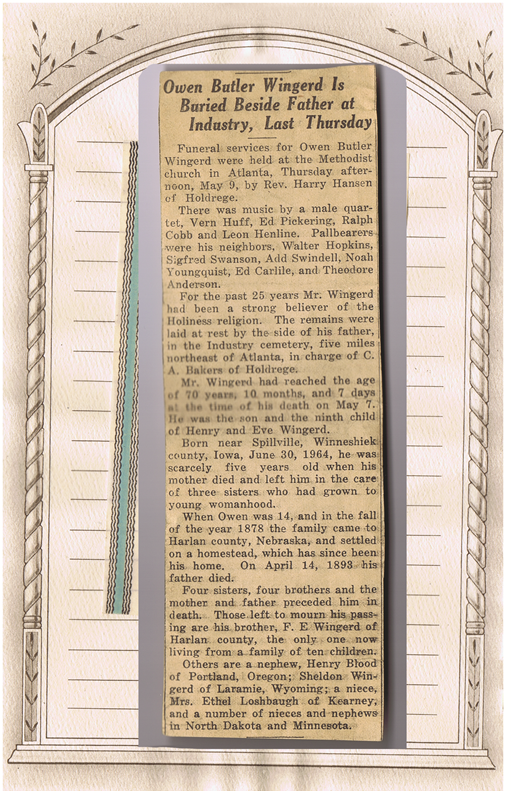 I have a scan of the obituary of Own Butler Wingerd from my grandmother's things and it is through that obituary that I connected with your site. Evangeline, her husband John and probably four of their children are buried in the Lakota, ND cemetery. The graves are unmarked except for a military marker on Henry Herold's grave. I did also hear a different story of the reason that the name was changed. 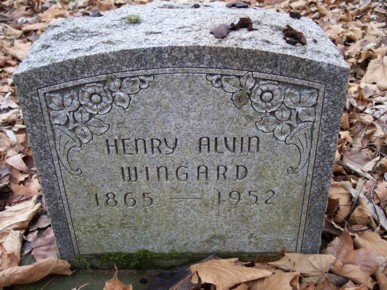 According to my dad (who had visited "uncle Owen" in Nebraska or who had heard stories from his mother) claimed that the family was distressed that Wingard was a name associated with growing grapes for making wine and they were strictly against the use of alcohol and that was the reason for the name change. This might have been among the stories you heard but did not share. My dad described Owen as a lay Methodist Preacher and the obituary said he belonged to the Holiness tradition. You may not be interested in your collateral ancestors but if you are, I can provide a little bit more information about that family although much less than I have about other branches of my family. I know even less about John Herold than I do about Evangeline Wingerd Herold. I have some formal family history about all of my grandparents except for Victoria Herold Schroeder, Evangeline's daughter. Perhaps none of this information is new. Donna (Janet) Schroeder, OSB, Ph.D.